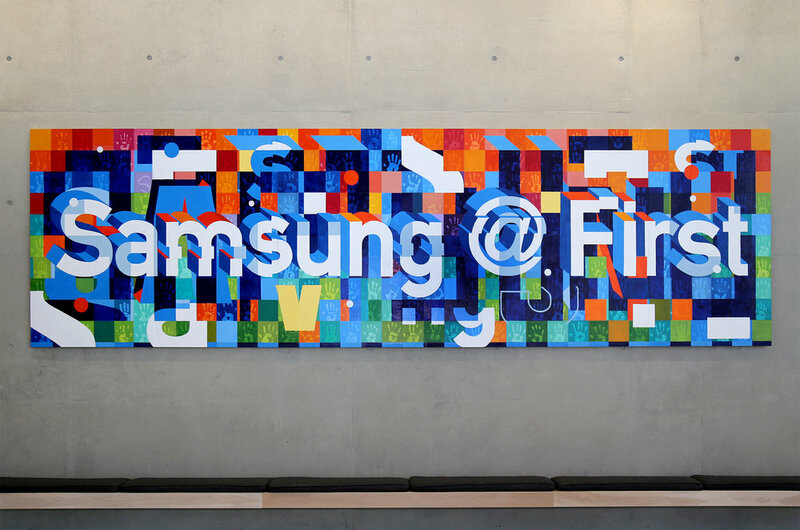 Samsung — The ID Agency - CREATE. COMMUNICATE. BRAND. The ID Agency works with several different contemporary artists. ID acts as the intermediary between artist and corporate client. This allows the artist to focus on being creative and focusing on the task at hand. 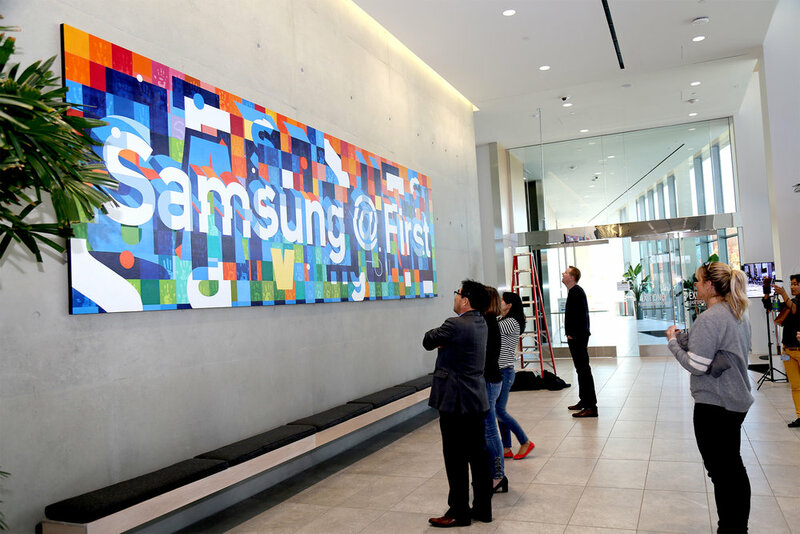 Samsung Semiconductor, Inc., just opened new headquarters in San Jose, CA. The ask was for Samuel Rodriguez to create a one of a kind mural in the main lobby of the building He used hand prints from employees to create a larger than life mural.